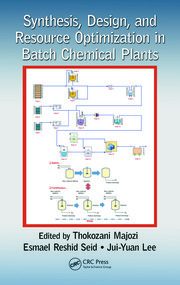 Traditionally, design and control decisions are made in sequential stages over the life cycle of a chemical plant. In the design phase, the optimal operating conditions and the corresponding material and energy balance data are established mainly on the basis of economic considerations. In the subsequent step, the control systems are configured to maintain the key process conditions at the fixed nominal values. 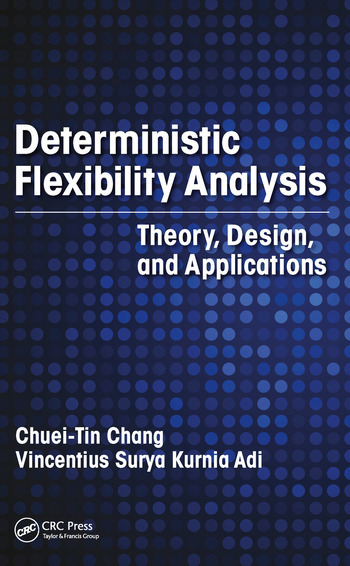 Because it is often desirable to address the operability issues at the earliest possible stage before stipulation of control schemes, the systematic incorporation of flexibility analysis in process synthesis and design has received considerable attention in recent years. 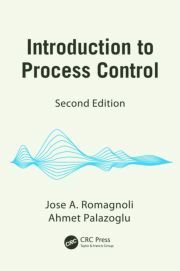 This book focuses to a large extent on computation and implementation methods of deterministic performance measures, i.e., the steady-state, volumetric, dynamic and temporal flexibility indices, in various applications. The formal definitions of several available performance indices, their mathematical formulations, and the corresponding algorithms and codes are provided in sufficient detail to facilitate implementation. 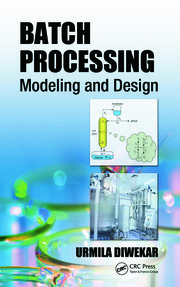 To show the utility of flexibility analyses, the book presents several practical case studies including membrane modules and heat-exchanger networks, solar-driven membrane distillation desalination systems, and hybrid power generation systems. It also includes MATLAB and GAMS codes. Chuei-Tin Chang received his BS degree in Chemical Engineering from National Taiwan University and his PhD in Chemical Engineering from Columbia University in 1976 and 1982, respectively. He worked as a process engineer for FMC Corporation (Princeton, New Jersey) from 1982 to 1985 and as an assistant professor at the Department of Chemical Engineering at the University of Nebraska (Lincoln) from 1985 to 1989. He later joined the faculty of Chemical Engineering Department of the National Cheng Kung University (Tainan, Taiwan) in 1989, became a full professor in 1993, and recently received the Distinguished Professor Award (2008– 2011). He was a visiting research scholar at Northwestern University (1992), Leihigh University (1998), and Georgia Institute of Technology (2006). He is a senior member of AIChE and TwIChE. His current research interests are mainly concerned with process systems engineering (PSE), which include process integration, process safety assessment and fault diagnosis, etc. He is the author of 104 refereed papers and 90 conference papers (total number of citations: 1306; h-index: 16). Vincentius Surya Kurnia Adi is an assistant professor in the Chemical Engineering Department, National Chung Hsing University. He received his BS in Chemical Engineering from Institut Teknologi Bandung, Indonesia, in 2005. He worked as a process engineer for PT. Arianto Darmawan until 2006, and later in 2008 received his MS in Chemical Engineering from National Cheng Kung University, Tainan, Taiwan. He finished his PhD in Chemical Engineering from National Cheng Kung University, Tainan, Taiwan, in 2013. Later on, he worked as a postdoctoral researcher in the same institution until 2015. Afterwards, he moved to Chemical Engineering Department, Imperial College London as research associate before he joined as one of the faculty members in the Chemical Engineering Department, National Chung Hsing University in 2016. His research centers on developing new insights in process synthesis and design, especially in flexibility analysis of chemical processes.